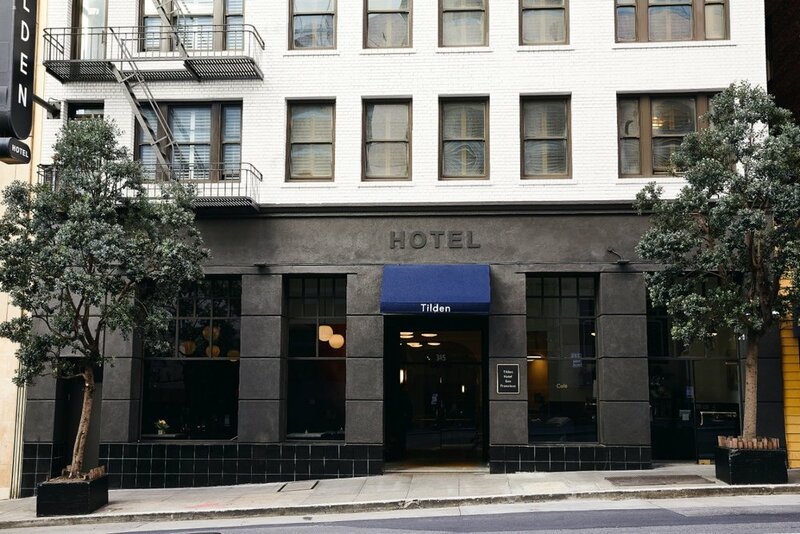 The Tilden Hotel, tucked away in San Francisco has been firmly added to our hotel lust list. 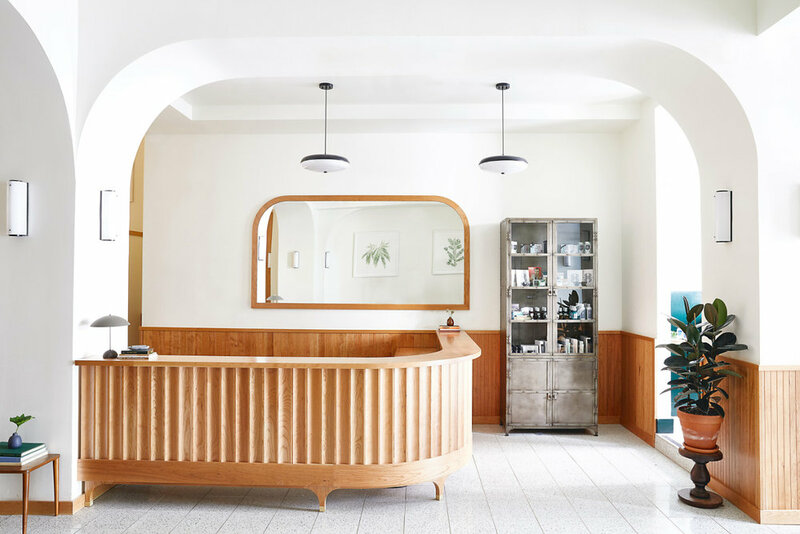 Housed in an historic 1928 building and straddling the historic Union Square neighborhood and the vibrant, up-and-coming Tenderloin, acting like a little bridge between, the Tilden was entirely redesigned by owner Stephen Yang and designer Brian Smith. The lobby features a beautiful cherrywood reception desk, lifted from the ground to create an lighter feel, adorned with art by Jenny Kiker featuring plants indigenous to the San Francisco region. Arches inspired by the Spanish mission revival architecture of Northern California, broad leafed plants and crisp white walls add to that airy feel. And why Tilden? Well, Douglas Tilden, born in Chico, California, in 1860, was a critically acclaimed deaf sculptor whose daring and monumental sculptures managed to awe both critics and laymen of his time. Having contributed some of San Francisco’s most meaningful monuments, his 'Native Sons' is a landmark of The Tenderloin. The Tilden is dedicated to supporting local artists in various ways - they see artwork as the life-blood of the hotel. All guestrooms, along with four large-scale originals in the lobby, are graced with the work of artist Jenny Kiker and local, celebrated artist Joe Papagoda has been commissioned for a 65-foot by 25-foot mural that graces the light-wall exterior visible throughout the building. His artwork, entitled “The Sake of Serenity,” is an acrylic on canvas painting, combining a poured paint technique using his custom mix of fluid paints, with a traditional method of applying paint with brush. Papagoda’s artwork, in conjunction with its narrative title, is meant to empower communication between the minds of the artist and the viewer through expressive power, color theory and imagination, in lieu of figurative suggestions. Nightlife game is strong at the Douglas Room, a watering hole by local nightlife impresarios Mo Hodges and Brian Felley. There's a curbside cafe serving coffee from Equator (from nearby San Rafael) and they even bring in local poets and artists on a rotating roster - now that's a neighbourhood hotel. You can opt to pay $USD19 a day to access their amenities - tea and coffee, yoga mats, board games, munchies, garment pressing, doggie bowls, local discounts and wifi. Like what you see as much as we do? Book your stay here.